In most cases of eyelid twitching, no identifiable cause can be found. However, certain environmental and behavioral factors may worsen eyelid twitching, such as caffeine consumption, stress, and smoking. Eyelid twitching may also accompany irritations or infections of the eye. In rare cases, eyelid twitching, usually when accompanied by other disordered movements, can be a symptom of a chronic neuromuscular disorder such as Tourette’s syndrome. 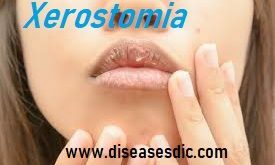 Essential blepharospasm usually occurs more commonly in females and at a later age. Stress: While we’re all under stress at times, our bodies react in different ways. A twitching eye can be one sign of stress, especially when it is related to vision problems such as eye strain. Tiredness: A lack of sleep, whether because of stress or some other reason, can trigger a twitching eyelid. Catching up on your sleep can help. Eye strain: Vision-related stress can occur if, for instance, you need glasses or a change of glasses. Even minor vision problems can make your eyes work too hard, triggering eyelid twitching. Schedule an eye exam and have your vision checked and your eyeglass prescription updated. Computer eye strain: From overuse of computers, tablets and smartphones also is a common cause of eyelid twitching. Follow the “20-20-20 rule” when using digital devices: Every 20 minutes, look away from your screen and allow your eyes to focus on a distant object (at least 20 feet away) for 20 seconds or longer. 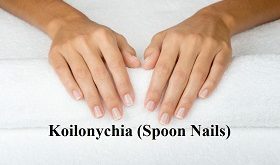 This reduces eye muscle fatigue that may trigger eyelid twitching. Caffeine: Too much caffeine can trigger eye twitching. Try cutting back on coffee, tea, chocolate and soft drinks (or switch to decaffeinated versions) for a week or two and see if your eye twitching disappears. Alcohol: Try abstaining for a while, since alcohol also can cause eyelids to twitch. Undiagnosed corneal scratches can also cause eyelid twitches. If you think you have an eye injury, see your optometrist or ophthalmologist immediately. Corneal scratches can cause permanent eye damage. These conditions are distinguished by a careful clinical examination. Rarely, hemifacial spasm is caused by a tumors pressing on the facial nerve, found with MRI testing. Botulinum toxin (Botox) injections are sometimes used to treat benign essential blepharospasm. Botox may ease severe spasms for a few months. However, as the effects of the injection wear off, you may need further injections. Facial injections: Injections are administered to cause localized paralysis around the affected area. 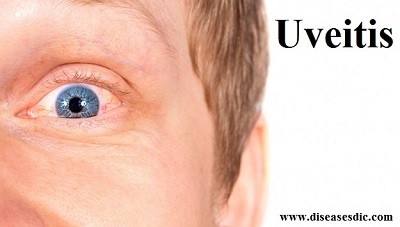 In most cases, the eyes are immediately responsive, and symptoms are relieved between injections. The typical administering schedule for injections is every three months but varies from patient to patient. If your eyelid spasms are happening more frequently, keep a journal and note when they occur. Note your intake of caffeine, tobacco, and alcohol, as well as your level of stress and how much sleep you’ve been getting in the periods leading up to and during the eyelid twitching. If you notice that you have more spasms when you aren’t getting enough sleep, try to go to bed 30 minutes to an hour earlier to help ease the strain on your eyelids and reduce your spasms. Previous Birth defects – Definition, Causes, and Treatment. Next Schistosomiasis or Bilharzia – Definition, Causes, and Treatment. a good information about common eye condition that is not generally dealt . thanks. Botox injection is used for this condition. Looking forward to Erectile Dysfunction (ED). Thank you for the posts. I am learning a lot. please search in the post. Particularly look into the alphabetical order E.
Oh well, this app has made me get to know so many diseases which can easily associated with me and now I can easily protect myself from them. Thanks. I have like this problem some time continue used mobile phone or computer when I feel uncomfortable I used to avoid using this devicess. please do not eat fruits especially in India. because of new disease spread from the bat is nipah. please do not eat single of the fruit otherwise you are died. please do not eat single of the fruits. and this is more infectious disease spread from one person to another. in all south side especially in kerela this disease most and more spread. I can’t really describe mind,I always have pain in my eye and am thinking of seeing eye optician, though the pain comes and go. please consult a doctor to get ease from this eye pain. 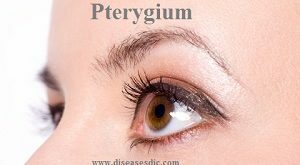 We have a very effective and has no side effect for all eye problems such like this including glaucoma, Cataract, teary eye, etc. why dont you mantion the name of medicene for this disease? Yes, will surely update the name of the medicines for this disease. Stay tuned. please, can you update us on glychoma? It is updated in our App. please find it from the posts. what kind of medicine can cure my eyes when those white stuffs keep on coming out ? Please consult an ophthalmologist as soon as possible to get away from feature effects. I know Iam going to become a good Doctor when I finish my nursing course.Because this app is teaching me a lot. No please consult a doctor if you are suffering from any eye problems or irritation. Botulinum toxin (Botox) injections are sometimes used. If the twitching of eye is often then please consider a physicians’ guidelines. please consult a doctor first then get treated. how many times I have to take evion 400. If you take EVION 400 just take one cap a day for 15 days then quit for next 15 days then continue the process for 3 months only you will definitely find positive results. Before taking the medicine please consult a doctor.